Experience ultimate comfort, off-road capability, and fuel efficiency in our One Owner 2016 Jeep Cherokee Latitude 4X4 presented in Brilliant Black Crystal Pearl Coat. Fueled by a proven 2.4 Liter 4 Cylinder that offers 184hp while mated to an innovative 9 Speed Automatic transmission for easy passing. This Four Wheel Drive provides near 31mpg helping you leave others in your tracks with superior performance in auto, snow, sport and sand/mud modes to optimize traction. The impressive physique of our Cherokee Latitude is accented by alloy wheels, roof rails, fog lights, body-color door handles and mirrors as well as privacy-tinted glass. Inside our Latitude, see that the cabin's layout is driver-friendly. A leather steering wheel with audio controls, a fold-flat front passenger seat, and a convenient 60/40-split folding and reclining rear seat come in handy. Enjoy impressive sound system and audio connected to a 5-inch touchscreen interface with USB/iPod integration, auxiliary audio input and an SD card reader. Whether you're out pounding snowdrifts into submission or coasting down the freeway, our Jeep Latitude has all the creature comforts you'll need to keep that smile on your face. Refreshed for 2016, our Chevrolet Equinox 1LT AWD steps out in style in Silver Ice Metallic with the ideal blend of efficiency, space, and style. Motivated by a 2.4 Liter 4 Cylinder that generates 182hp paired with a 6 Speed Automatic transmission that provides refinement and responsiveness for a pleasant drive you'll look forward to each day. 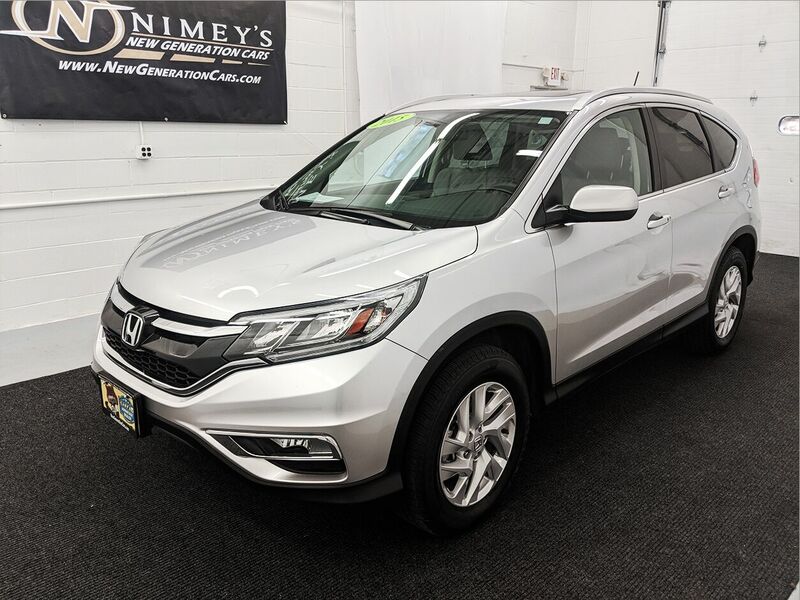 This All Wheel Drive SUV offers near 32mpg while turning heads with its stylish front grille, alloy wheels, roof rack side rails, and automatic headlights. Inside our 1LT, feel instantly at ease and perpetually indulged with loads of legroom for optimal comfort. A 60/40-split second-row seat that slides and reclines, a touchscreen with MyLink interface, Bluetooth phone connectivity and integration, heated front seats, available WiFi, and an upgraded sound system with available satellite radio are just a sampling of what awaits you in this well-appointed cabin. A top safety pick, our Chevrolet demonstrates a commitment to excellence with standard safety features as well as a steel safety cage, anti-lock disc brakes, and StabiliTrak to help you stay grounded in all sorts of road and weather conditions. Our Equinox is a spectacular choice for your transportation needs and is truly the complete package. Print this page and call us Now... We Know You Will Enjoy Your Test Drive Towards Ownership!